Train like a warrior! Ninja Cones are one of the top training devices for building forearms and pinch strength on the Ninjaline backyard hanging obstacle course. Train like a warrior! 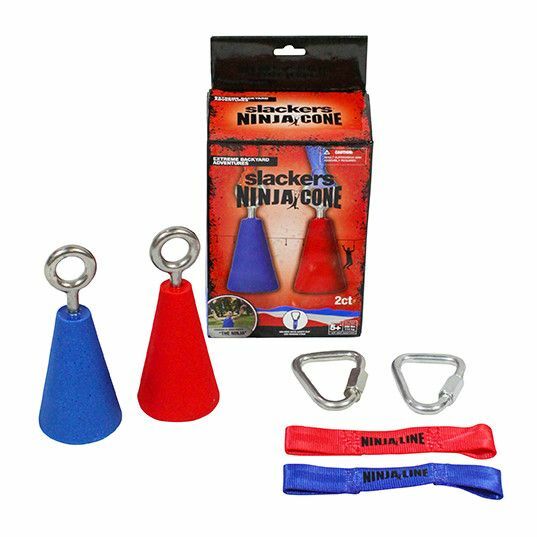 Ninja Cones are one of the top training devices for building forearms and pinch strength on the Ninjaline backyard hanging obstacle course. Add some variety to your course with the hanging strap which allows for full shoulder rotation. 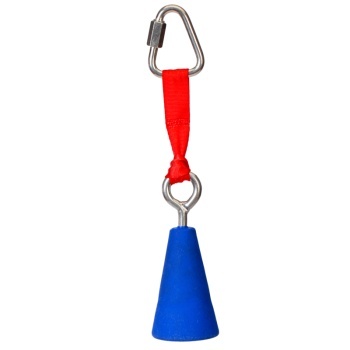 Plus, this smaller size is perfect for beginners and small hands! Perfect for use on our Ninjaline™ (sold separately) or on your own course.